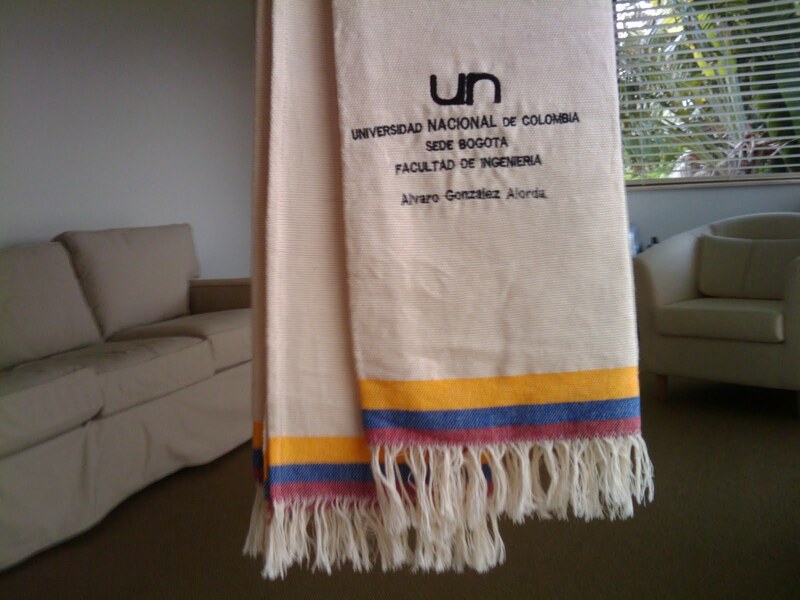 Besides the sessions at INALDE, I participated as well in an event organized by the Universidad Nacional de Colombia. After my conference, someone from the audience came to give me a scarf with my name written on it. He was Reinaldo Niño, and entrepeneur with an inspirig story. Alucinante Alvaro, lo que no te pase a tí... La historia de Reinaldo es digna de escuchar.